Wednesday is the first day of autumn and thoughts are turning towards warmer clothes- pieces that have texture and can be layered. It's my favorite part of fall. 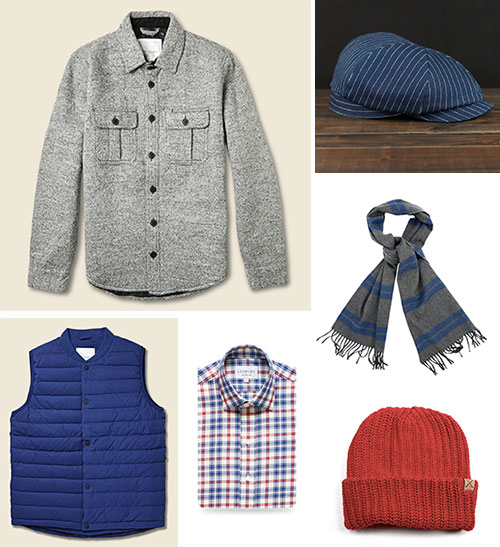 Here are some southern made favorites to check out: Sid Mashburn flannel down vest in camel herringbone, $495, Alton Lane orange gingham shirt, $175, Mollyjogger Rod and Gun beanie, $18.50, Sid Mashburn lambswool scarf, $45, Ledbury Goddard Melange plaid shirt, $145, Billy Reid Ethan Jacket in dark charcaol, $225, Stag Provisions double wrap wristband, $40, Nice Laundry voyager socks, 6 for $49. 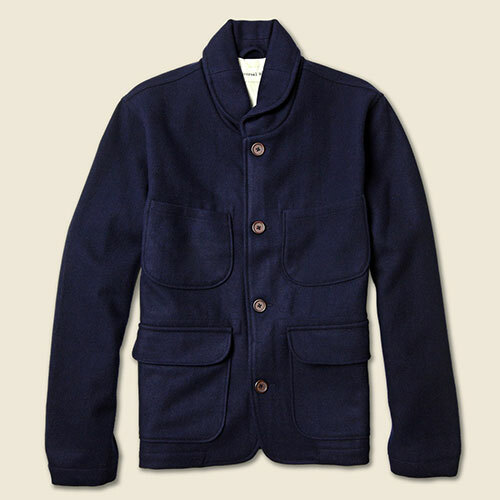 Stag Provisions Labour jacket, $325, Stag Provisions Jeremiah CPO Jacket, $228, Otis James Brawler hat, $140, Sid Mashburn lambswool/angora scarf, $85, Stag Provisions Coji Vest, $178, Ledbury Keegan Plain Twill shirt, $145, Mollyjogger Rod and Gun beanie, $18.50. 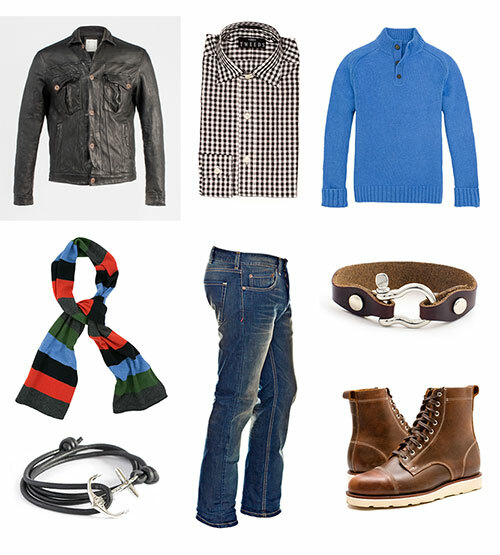 Billy Reid Morgan leather jacket, $1795, Tweeds gingham shirt, $145, Sid Mashburn field sweater, $295, Form Function Form shackle bracelet, $54, Helm Boots hunter brown boot, $535, Marc Nelson dark whiskey jeans, $250, Maritime Supply anchor bracelet, $76, Sid Mashburn cashmere scarf, $175.